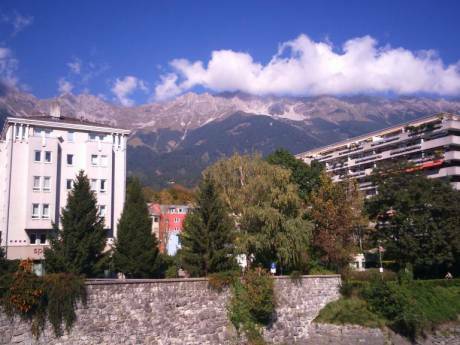 Our apartment is a completely renovated floor in a two storied old villa in Innsbruck. We share the house with my mother (first floor) and a family of two people (second floor). Our apartment is located in the 3 floor and we enjoy a really nice mountain view. It is very sunny - especially the living room. As it is an old house, each room is particular - please have a look at the photos. We love our garden with a small pond, a nice place to sit and have barbecue-parties, a small blog-house for the kids and enough space for them to play soccer or badminton. The only thing we do not like so much is the street noise during the day. But on the other hand, it's a urban location with walking distance to the historical centre (20 minutes walking along the river side) and we have to accept this disadvantage. The bus station is just in front of the house. Beside the apartment on the 3 floor we also own the basement with a bedroom for guests and two library rooms, where my husband and me use to work. As we lived for many years in Japan our interior style is mix of japanese, chinese and european furniture and accessoires. We have two children (now 13 and 11 y.) - both are born in Tokyo, where we lived for 17 years. We taught German language and literature at Universities in Tokyo (Todai, Hitotsubashi, Nihon). We decided to "return to our roots" in 2005 because we wanted our kids to experience also European live. But we still love the Far East and especially Japan. Since our return to Europe we enjoy (re-)discovering Europe - we travel quite a lot. 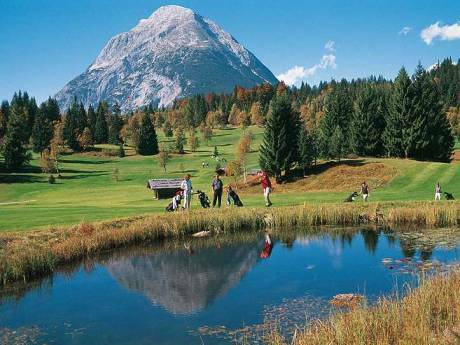 My husband and me are born in the German-speaking part of Italy (South-Tyrol). We moved to Austria/Innsbruck when we entered University. Situated in a traditional residential area of Innsbruck, same street: convenient store and gasoline station, pharmacy, cafe and wine bar, restaurant with traditional Austrian cuisine.